Swarovski binoculars of worldwide fame and reputation for excellence had an inauspicious beginning when Daniel Swarovski was born in the autumn of 1862 in what is now the Czech Republic. His father had a small glass factory where Daniel learned the manual art of cutting glass. After serving an apprenticeship to his father and learning the manual approach, he invented an electric glass cutting machine of revolutionary precision at 29 years of age. In 1895, the family and business moved to Austria to establish a production plant that would take advantage of the hydro-electric in its energy-intensive processes. In 1935, Daniel's eldest son, Wilhelm, was an amateur astronomer and used his access to the company's proprietary glass production procedures and specialized cutting, grinding, and polishing equipment to build an improved binocular for himself. He developed an innovative way of fabricating and finishing the prisms used in his first prototype - a field glass. Unfortunately, those field glasses remained in the prototype stage until after World War II. In 1939 Daniel Swarovski & Company started producing optical lenses. As might be imagined with the prospect of an impending war, the government's attention was on all firms whose products would be of interest to the war machine. The Swarovski plant was pressed into service and produced many 6X30 Porro prism binoculars that were used during World War II. Like the other binoculars of that time which were made to government specifications, these binoculars appear identical to the 6X30 military binoculars produced by M. Hensoldt & Sohne, Ernst Leitz (now known as the Leica firm), Emil Busch, Carl Zeiss and others except for the coded markings indicating manufacturers. 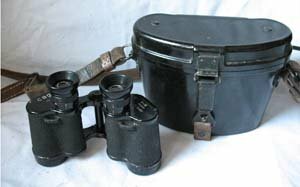 The war delayed the first public presentation of Swarovski binoculars until 1948. Wilhelm went on to found the Austrian company of Swarovski Optik in 1948-49 to market, using "Habicht" (Hawk) as a trade name, binoculars, telescopes, and rifle scopes. As you've likely heard, they became market leaders with a reputation for extraordinary quality. Swarovski Optik's first serially produced optical instrument was the 7X42 Habicht - a model and configuration that continues to this day. The present Habicht 7X42 weighs only 24 ounces (680 grams) - a light weight perhaps helped by somewhat limiting the field of view with the corresponding reduction in prism weight. As would be expected, its state of the art coatings are reported by many to provide amazing color fidelity, entirely prevent ghost images, give superior performance under low light conditions, and are far above average in dealing with stray or diffused light which degrades contrast performance. 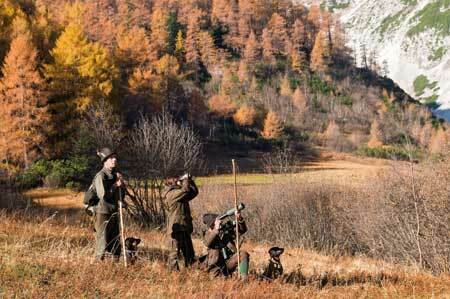 Habicht binoculars are available in the United States by special order through an authorized dealer. Through all our purchases from Amazon, we've never had any complaints about its prices or customer service. You can check on the Habicht selection in the UK on Amazon.co.uk . What does the EL stand for in Swarovski binocular models? It's an interesting question and the answer isn't necessarily obvious. It stands for "Ergonomic Light." These instruments were designed with a focus on both ergonomics and reducing overall weight - thus the "EL" designation. What does the B stand for in the name of some models? The B in some model names stands for a German word that means "twist-up eyecups." The models with a B in the name are equipped with twist-up eyecups. What does the WB stand for in Swarovski binoculars? The WB (it's actually "W B") is a combination of two items. The W stands for a German word that means "wide angle." For Swarovski binoculars, this means the apparent field of view is greater than 60°. The B, as noted above, is for a German word that means the instrument has twist-up eyecups. Our article on Swarovski EL Binoculars with Swarovision gives you a thorough review of these binoculars and what you get for your money. Are they worth a premium price? What is included in the package? Why do so many people speak so highly of them? The Swarovski EL Range is the Swarovski Optik binocular with a built-in laser range-finder. It provides both a scan mode and a single-measurement mode to measure distance to something which is moving and to objects which aren't. The EL Range will measure in both yards and meters (accuracy of plus/minus 1yd/m) and provide an angled-shot measurement in either scan or single measurement mode, as well. There are five individually adjustable brightness levels or you can rely on the automatic brightness adjustment for the display. The EL Range has the Swarobright (dielectric prism coating), Swarodur, Swarotop, and Swaroclean coatings, as do the Swarovski EL Binoculars with Swarovision. The EL Range comes with a carrying strap with pockets for replacement batteries, a snap shot adapter, field bag, rain guard, objective lens covers, and replacement battery. Available at Amazon.com(USA) . 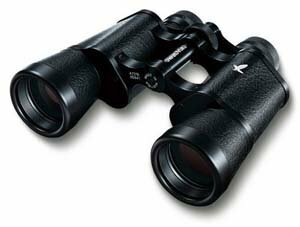 Our review of the Swarovski SLC HD Binoculars gives an understanding of why this binocular has been seeing increased popularity with bird watchers, general wildlife observers, hunters, and others. We tramped the woods and open spaces with this binocular and tell you about our experiences and what we learned about this instrument. If you want the Swarovision experience, but aren't able to stretch to it, you may want to consider this more affordable binocular. The Swarovski CL Companion has the same Swarobright, Swarodur, and Swarotop coatings that other Swarovski offerings do for brightness of view, durability of coatings, and color brightness/fidelity. This small, lightweight binocular provides high contrast views with the an ease similar to other Swarovski models. Both waterproof and fog-proof, it's a good binocular for those who want performance in a small, affordable instrument. The CL Companion is available in green, black, and tan colors. Available at Amazon.com and Amazon.co.uk . The Swarovski Pocket, or "Lightweight Mini" as it's sometimes called, does not represent itself as providing a wide-angle view, but it is certainly small and capable of being folded small enough to fit into a reasonably sized pocket. Swarkovski markets them as "the smallest watertight pocket binoculars" and, as far as we're presently aware, they're probably right — at least for the 8X20 configuration. The 8X20 can be folded to dimensions of only 2.3in/5.9cm wide and they're only 3.7in/9.4cm tall. They have Swarobright coatings for a bright, well-contrasted view. They're available in green or black and sand colors and also with in leather. Available at Amazon.com and Amazon.co.uk . Since the Swarovski reputation for quality optics is well known, the premium price new models command is similarly well known. Many of us would like to be able to find used Swarovski binoculars, hopefully well cared for ones, at relatively reasonable prices. Because this applies to more than just one brand of optics, please take a look at our cheap, used binoculars page.